Graffiti Art in Scotland, in particular Glasgow and Edinburgh has it’s beginnings in the mid to late 1980s. 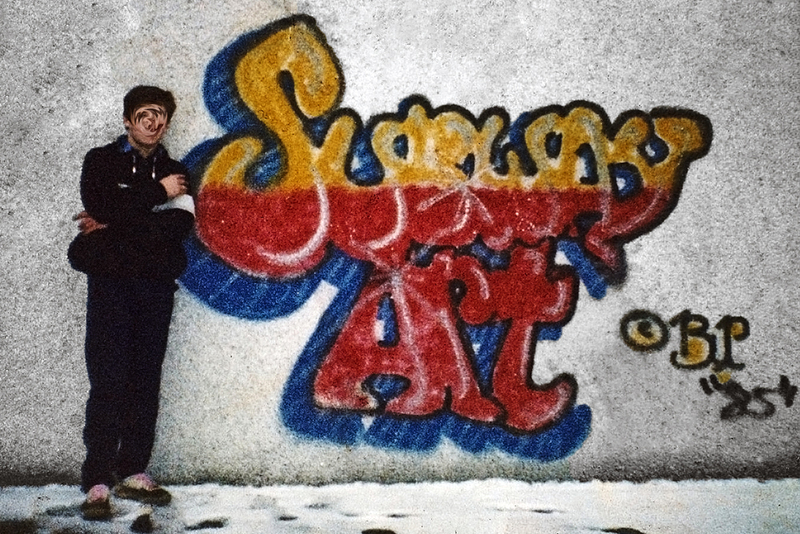 The art form itself began on the streets and subways of New York and Philadelphia, and evolved from stylised signatures known as “tags” to full colour letter based murals – known as “pieces”. Short for “masterpiece”. Through being in the right place at the right time, graffiti then amalgamates into the later “hip hop” scene. It was then that it took the world by storm and created the biggest art movement there’s ever been. Let’s be clear, it’s not often we talk about graffiti in Scotland. In fact it’s only in recent years, that it gets any exposure at all. Graffiti in it’s basic spray painted form has been on Scotland’s streets and underpasses since the 50s. It’s been shown in a negative light, and understandably so for some people. However even with it’s past stigma, stylised graffiti is nothing new either. Glasgow’s gangs in the 50s and 60s developed a stylised, serif based, font style of graffiti still in use today. This style, developing without any external influences, interestingly resembles the Mexican “Cholo” style of writing which can be seen on walls in Los Angeles. Fast forward a couple of decades, graffiti steps into a more positive light. 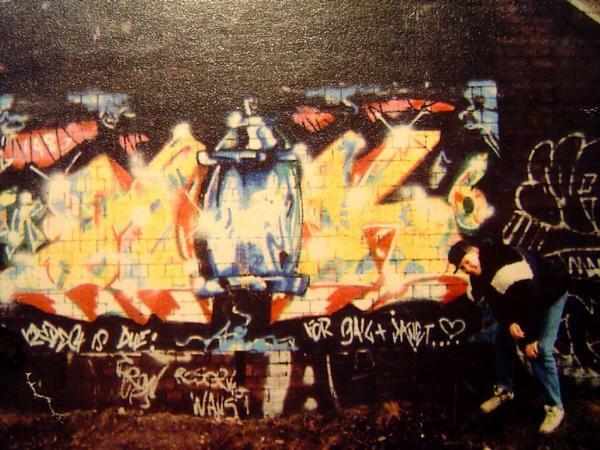 The youth of Scotland’s cities, Glasgow, Edinburgh, Dundee and Aberdeen begin to produce graffiti and mural art around the mid to late 80s. There are photos of pieces from Dundee for example which date back to 1984, and the same for Edinburgh and Glasgow. 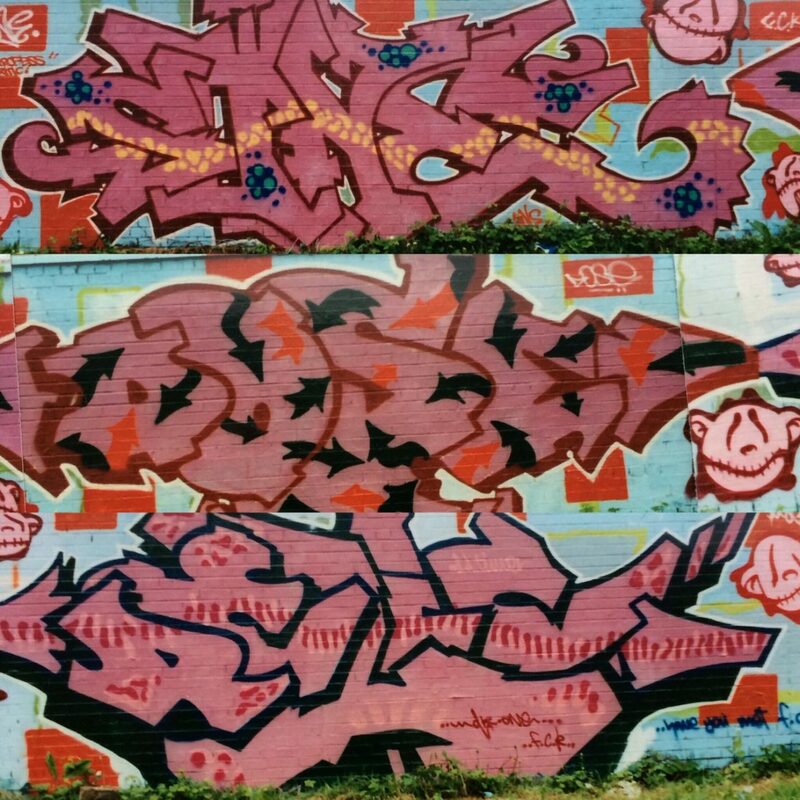 Back then much of it was traditional colourful, American Hip Hop style graffiti, with names and characters. The names – the letterform – the basis of the art form. Graffiti involves intricate letter designs, intense colour schemes and complex composition. Pure calligraphy. In Glasgow, and likely in Edinburgh and other cities the Hip Hop scene was still at its core. A close connection to breakdancing and DJing continues in its culture today, throughout the world. However, nowadays much of it continues to evolve beyond this. 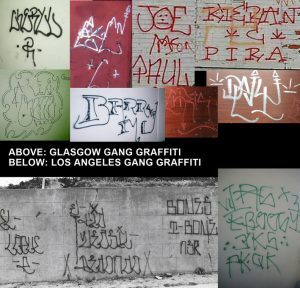 For many years the graffiti art scene in Glasgow and other places such as Edinburgh, Dundee and Perth had it’s ups and downs. It came and went and today enjoys various degrees of popularity. 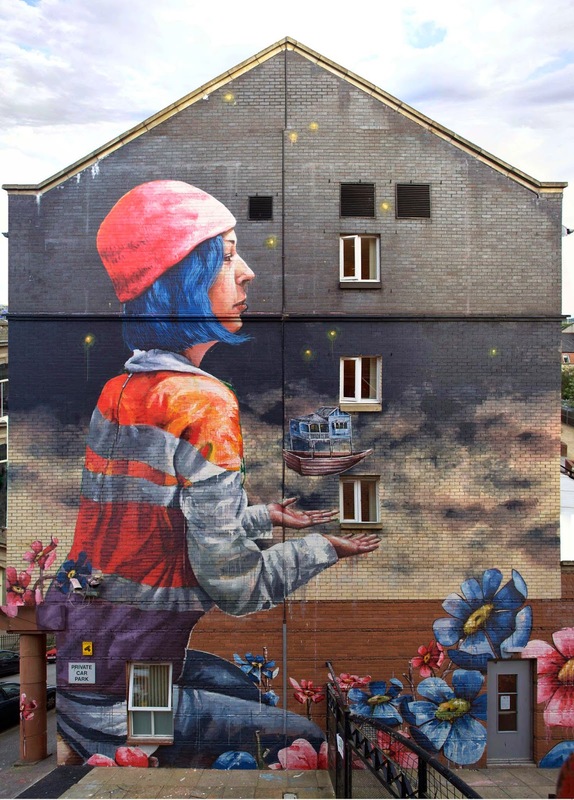 A steady core of artists remain painting pieces and murals wherever they can. 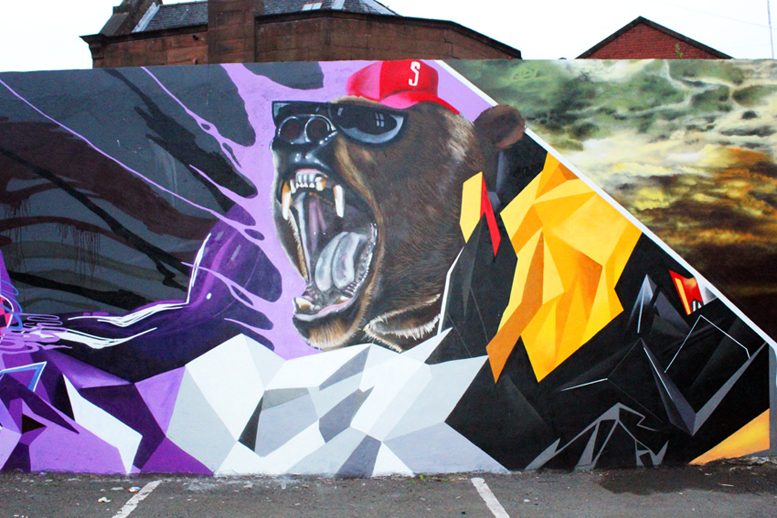 Nowadays as in the late 90s and early 2000s it’s having a bit of resurgence again, particularly on the mural front. Or street art as the media is calling it. Street Art differs from traditional graffiti in that much of it does away with the backbone of the art form – the letter form or calligraphy. Instead, it concentrates more on characters, stencil graffiti, large scale murals, portraits, or any other high impact public art. Examples can be found in the recent commissions in Glasgow for large scale mural projects, executed by graffiti artists and street artists. 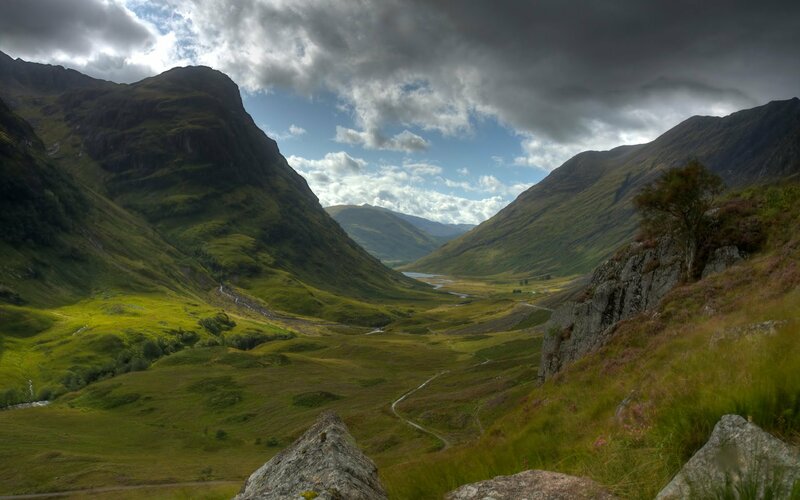 Both forms of spray painted mural art are now in demand in Scotland. Across cities – Glasgow, Edinburgh, Dundee and Aberdeen, as well as Perth, Paisley, Stirling, Falkirk, Kirkcaldy, East Kilbride and Hamilton. 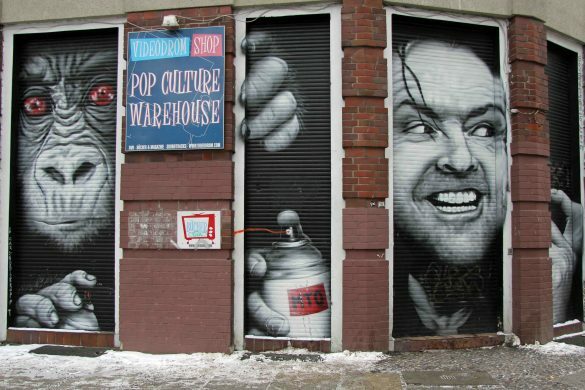 The demand for commercial graffiti art and street art is growing. Many businesses, charities and home owners realise that this form of mural art is a recognised art form. It’s now a great way to advertise businesses or decorate homes.